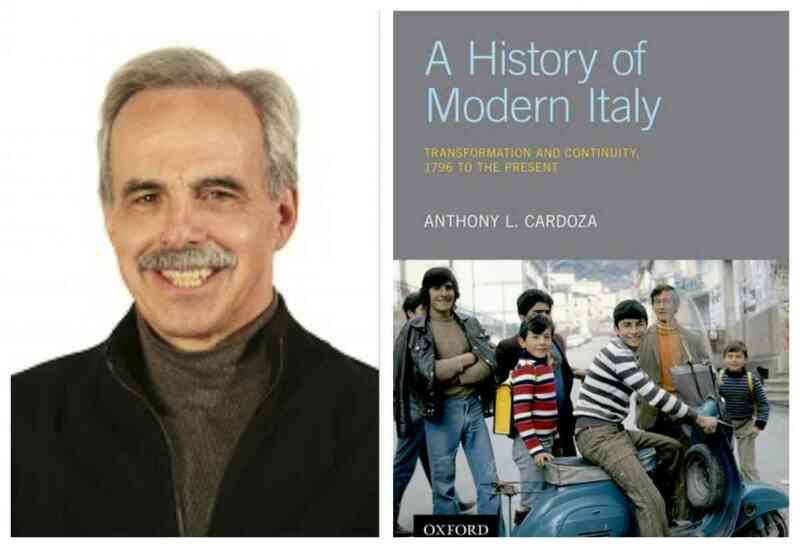 Anthony L. Cardoza will discuss The History of Modern Italy: Transformation and Continuity. He will be joined in conversation by Edmondo F. Lupieri. A Q&A and signing will follow the discussion. About the book: A History of Modern Italy addresses the question of how Italy's modern history--from its prolonged process of nation-building in the nineteenth century to the crises of the last two decades--has produced a paradoxical blend of hyper-modernity and traditionalism that sets the country apart in the broader context of Western Europe. About the author: Anthony L. Cardoza a Professor of Modern European History at Loyola University Chicago, with a research specialization in nineteenth and twentieth century Italy and Fascism. He received a B.A. from the University of California, Davis in 1969, and his Ph.D in History from Princeton University in 1975, before accepting a Roman Prize Fellowship to the American Academy in 1976. He is the author or co-author of five books on Italian history. His Agrarian Elites and Italian Fascism: The Province of Bologna, 1901-1926 (Princeton, 1982), won the 1983 Marraro Prize from the Society for Italian Historical Studies. Aristocrats in Bourgeois Italy: The Piedmontese Nobility 1861-1930 (Cambridge, 1997) was awarded the American Historical Association’s 1998 Marraro Prize for the best book in any area of Italian and Italian- American history. Cardoza is also the author of Benito Mussolini: The First Fascist (Pearson- Longman, 2006) and co-authored with Geoffrey Symcox The History of Turin/La Storia di Torino (Einaudi, 2008), in addition to The History of Modern Italy: Transformation and Continuity (Oxford, 2018). About the interlocutor: Edmondo F. Lupieri has taught at the universities of Rome, Turin, and Udine, and presently holds the John Cardinal Cody Endowed Chair in Theology at Loyola University, Chicago. He has published books and articles on New Testament, Early Christianity, Christian and non-Christian Gnosticism, and various phenomena of religious Syncretism involving Christian elements.